Earn $4.20 in Rewards credit (420 points) What's This? 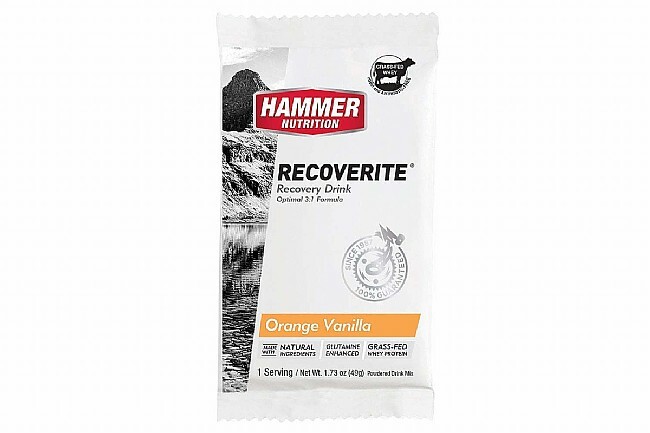 Hammer Nutrition's Recoverite mixes into a tasty recovery drink that helps restore muscle glycogen and rebuilds muscle tissue while reducing soreness and fatigue. 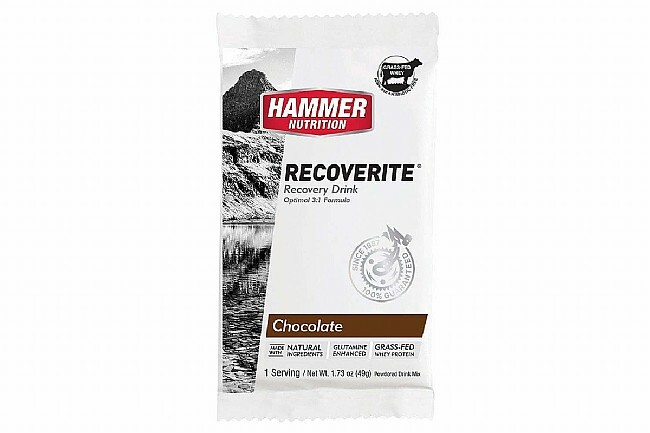 It contains a 3:1 ratio of complex carbs to premium whey protein isolate, amino acids, and a full spectrum of electrolytes; everything the body needs to recover and maintain a rigorous training schedule. 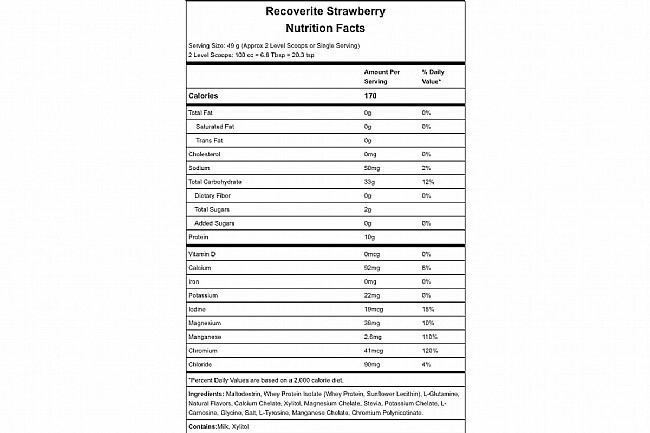 3:1 carbs to protein ratio for muscle growth & glycogen restoration. Highly bioavailable Whey Protein Isolate. 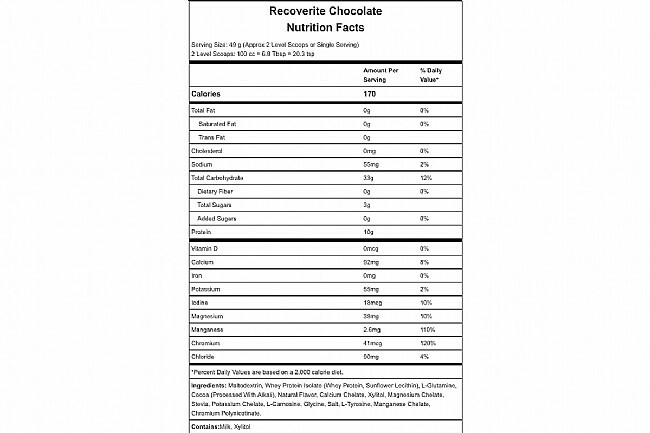 Fast-acting and lasting complex carbohydrate, Maltodextrin. Enhanced muscle glycogen synthesis from chromium polynicotinate. 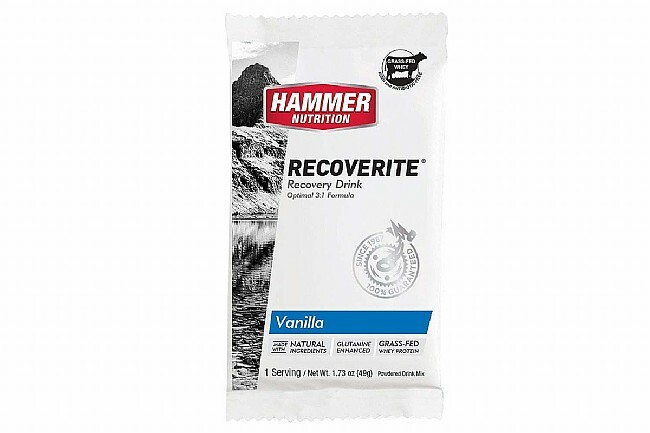 L-Glutamine provides immune system support. Easy to mix & flavorful.